CEDAR RAPIDS, Iowa – Rawlings Sporting Goods Company, Inc., announced the winners of the 2018 Rawlings Gold Glove Award® on Monday night, and 12 current major-leaguers who participated in at least one Perfect Game event while in high school were among the recipients. Heading the list of PG Gold-Glovers are National Showcase alumni Alex Gordon (2001 National) and Nolan Arenado (2008). Gordon, the Kansas City Royals’ All-Star left-fielder, was named to the American League squad for the sixth time – and the first time since 2014 – and Arenado, the Colorado Rockies’s All-Star third baseman, was named to the National League team for the sixth straight year. Atlanta Braves All-Star first baseman Freddie Freeman, an alumnus of both the 2006 PG All-American Classic and the ’06 PG National Showcase, was awarded his first Rawlings Gold Glove. 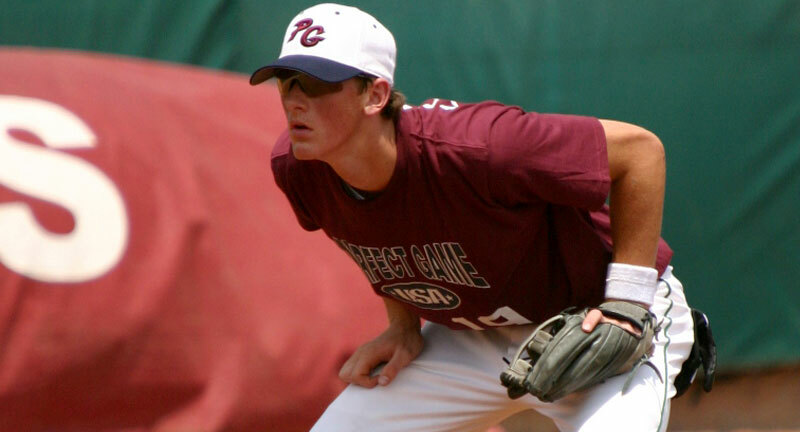 Colorado Rockies’ All-Star second baseman DJ LeMahieu, who also performed at both the PGAAC and PG National in 2006, won the award for the third time since 2014. Freeman shared the NL Gold Glove first baseman award with the Chicago Cubs’ Anthony Rizzo, a three-time NL All-Star who was cited for the second time in three years. Rizzo was also at that star-studded 2006 PG National Showcase, held that year in Fayetteville, Ark. Arizona Diamondbacks right-hander and former Cy Young Award winner Zack Greinke, who was at the PG World Showcase in Fort Myers, Fla., in 2000-01 and at the PG WWBA World Championship in Jupiter, Fla., in 2001-02, picked up his fifth Rawlings Gold Glove. Oakland Athletics’ first baseman Matt Olson, who was at the 2011 PG National Showcase in Fort Myers, Fla., before being a first-round compensation pick by the A’s in the 2012 MLB June Amateur Draft, was awarded his first Rawlings Gold Glove.